A milestone reached! A major announcement for Mindful Garden Digital Health as we received formal approval from the Fraser Health Ethics Board to conduct our first pilot study. 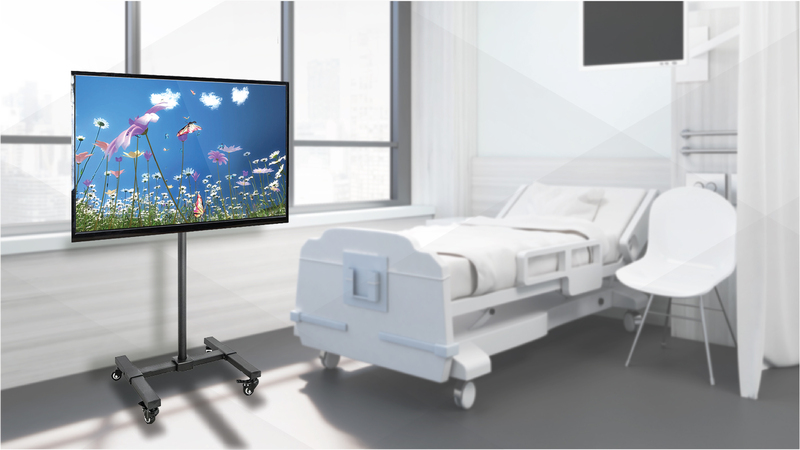 This is an important milestone as the company seeks clinical validation for our ‘digital crash cart’ for delirium, complementing the positive qualitative feedback received to date. 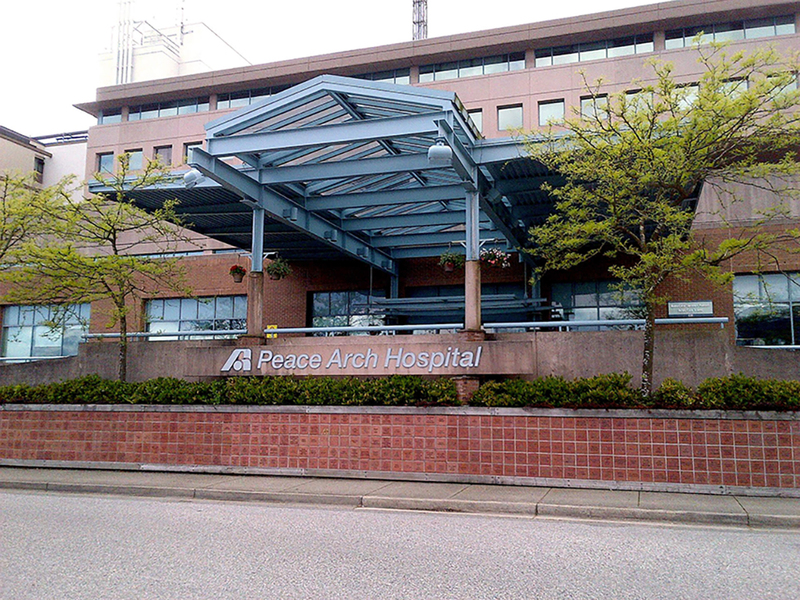 The study, entitled “A Pilot Study of an Interactive Digital Technology in Treatment of Hyperactive Delirium in a Hospital Setting” will start in September at Fraser Health’s Peace Arch Hospital under Principal Investigator Dr. Gloria Gutman, internationally recognized as a pioneer in the field of gerontology (and an Order of Canada recipient for her work with seniors). We’re also pleased that we will be moving up a concurrent study on a cohort of seniors experiencing hyperactive dementia in a long-term care setting. We had anticipated doing our dementia study following delirium but the opportunity to have Delta View’s private dementia care beds as part of our Fall studies was too good to pass up. Together, these two clinical studies – one for delirium, the other for dementia — will be among the first in the world to utilize a treatment modality like MindfulGarden aimed at lowering anxiety in individuals experiencing hyperactive delirium/dementia so that care can be administered without reliance on psychotropic drugs and restraints. We’ve been asked why we haven’t gone straight to commercialization for MindfulGarden as other behaviour modification tools have done, bypassing the clinical study phase. 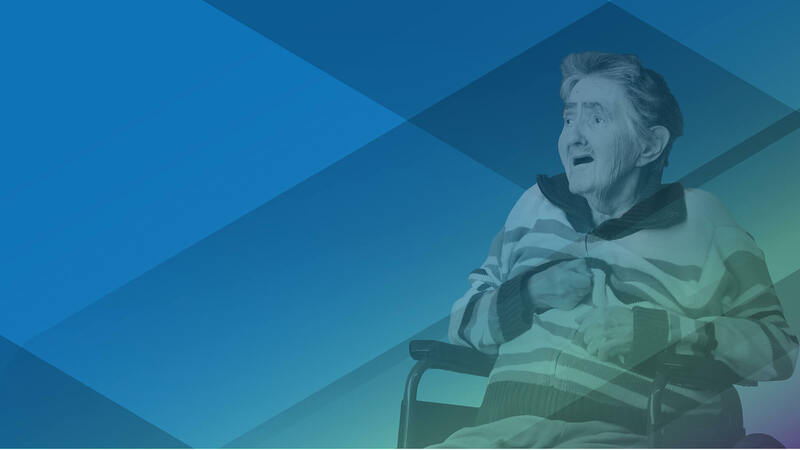 From the outset, we understood that if we were to have any real impact in seniors’ care, we needed to take the long, but correct route to validate in a clinical setting. This has meant a year of putting together an amazing Advisory; getting Ethics Board approval for an area that most have not been familiar with (interactive digital technologies for health); educating others to how game mechanics and research on environmental influences can impact health; and bootstrapping our way forward thanks to founder investment; the investment of you, our friends & family; and our lead angel who was willing to take a calculated risk that this area of digital health will lead to both transformative health outcomes and solid profit. MindfulGarden is coming through from research to clinical study to market at EXACTLY the right time. Not only is the field of digital therapeutics one of the fastest growing investment areas out there, but we are also looking at a dementia landscape where over 400 drugs being researched by industry leaders like Pfizer, Elli Lilly, and Merck have been stopped in their tracks and taken out of R&D. For now and into the next decade, it’s all about new tools for CARE, not cure, and this is exactly where MindfulGarden, the ‘digital crash cart for delirium/dementia’ is positioned as we enter our forecasted four months of concurrent clinical studies starting in September with full results and academic reporting in early 2019. But we need a final push of investment to get there. We’ve raised just over $350k to date and have bootstrapped a lean, mean operation to get to this exciting juncture. We need $150k more to get through to the end of 2018 and our clinical validation. 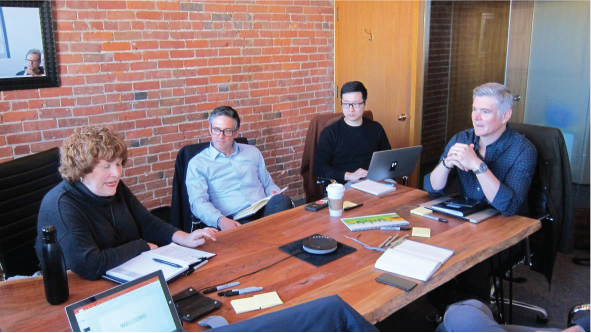 We have made a number of great presentations to venture groups who have been generous with their time and support of our vision, but most have an investment philosophy that requires us to get to market first and demonstrate scale and traction before they will invest. We know we will be worthy of their support to come. But in the meantime, we have this last push to go to get there so we’re looking for those who believe in supporting great teams with big bold and well-researched visions to develop products that will have a global impact on the lives of others. That’s MindfulGarden. So please read about us online at MindfulGarden.com. And send along this newsletter to any friends and associates who may have been touched by dementia or delirium and who are supportive of a non-drug, non-restraint tool in the arsenal of delirium and dementia care. 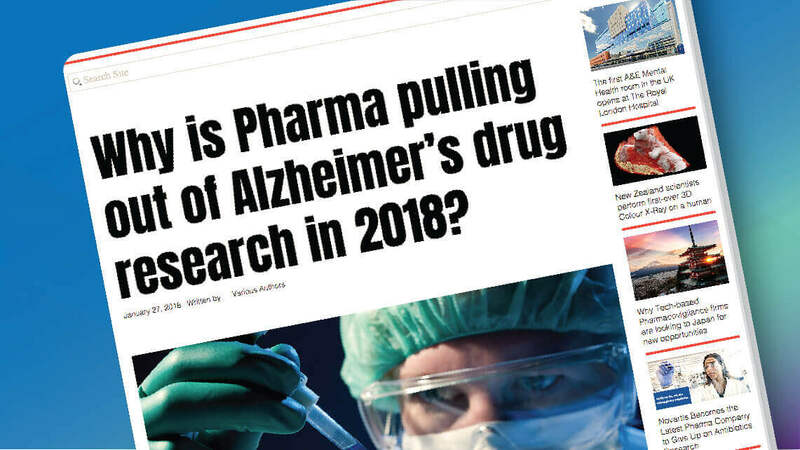 To read the article about why Pharma is abandoning the search for a dementia CURE, read here. 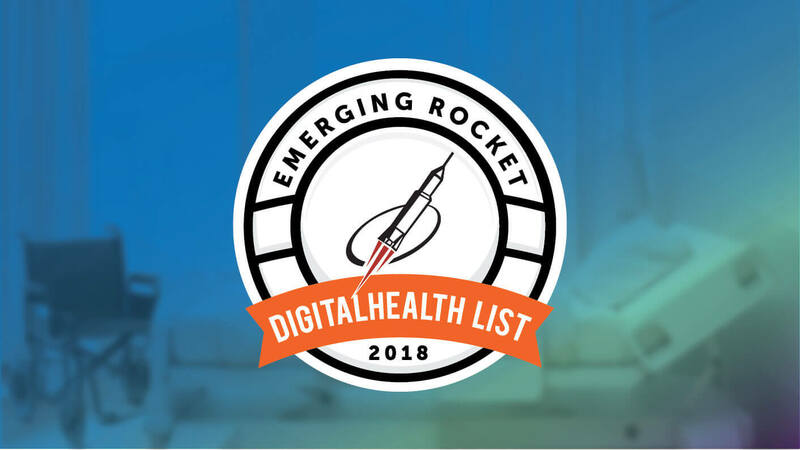 The prestigious investor group Rocket Builders recently designated MindfulGarden as a company to watch’ in its Emerging Rocket Digital Health list. Ready to Rocket is a business recognition program for British Columbia’s tech sector that showcases the revenue growth leaders of tomorrow by analyzing trends and identifying the top private companies best positioned to capitalize on these trends. Ready to Rocket companies have exceeded, on average, a 50% annual revenue growth rate, making this list one that’s watched closely by investors both at home and across the border. As part of the program, earlier stage companies that are a few years away from maximum revenue growth are identified as Emerging Rocket companies: this year we were extremely proud that our pre-revenue MindfulGarden became a 2018 Emerging Rocket Digital Health company at the announcement event at UBC Robson Square Theatre. TELUS mentor Christopher Ford (l) with MindfulGarden’s co-Founder Mark Ross. When TELUS puts its resources behind a company, big things can happen. As one of just six selected companies for the TELUS Technology Accelerator 2 cohort in 2018, MindfulGarden met and exceeded our goals for the six-month program. Powered by Innovate Calgary — now Calgary Technologies — the TELUS Technology Accelerator 2 gave the MindfulGarden team access to valuable resources and guidance from our mentorship team of Christopher Ford, Global Health Platform Lead at TELUS (Toronto); Thomas Janacek, entrepreneur and engineer who has built two global tech software companies Calgary); and Peter Fenwick, health innovation leader and consultant (Calgary). 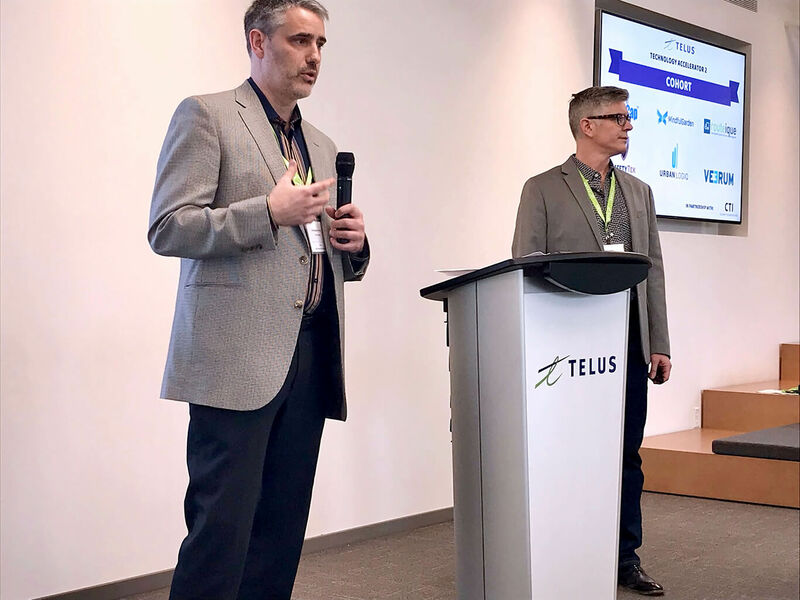 One of the great outcomes from the Accelerator was TELUS sponsorship to the ground-breaking FIRSTEP program, created by Dr. Brendan Byrne (formerly Chief Innovation Officer at TELUS) and John McDonald, entrepreneur and strategist to disruptive innovation companies. 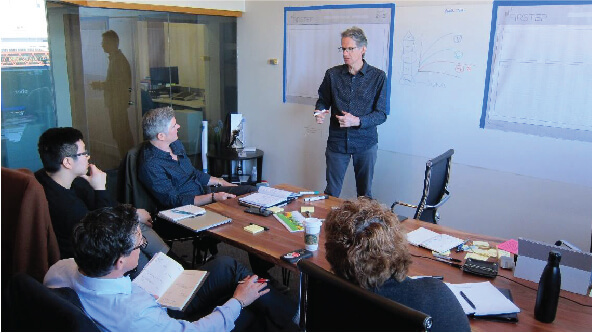 Over two days in May, MindfulGarden had the opportunity to explore and weigh the forces that would impact the health and growth of the company ahead, setting a framework for development and steps to commercialization, and helping us set big hairy audacious goals (BHAGs). As the FIRSTEP website quotes Kurt Vonnegut: “Out on the edges you see all kinds of things you can’t see from the center. Big, undreamed-of-things… the people on the edge see them first.” Our thanks to Brendan and John for taking us to the edge and back! Meet the newest member to our Advisory – Peter Fenwick, a business leader with international experience in digital health technology adoption. The digital health marketplace is a complex one. Companies seeking entry with new medical devices and platforms require an understanding not just of the clinical and technical requirements, but also of the regulatory, procurement, and health economics side of the equation as well. MindfulGarden is pleased to announce that Peter Fenwick has recently joined the Advisory to help the team build a profitable organization that will achieve both exponentially better health outcomes and value for money. Peter’s career experiences include: Senior Provincial Director, Innovation, Alberta Health Services; Country Director, Enterprise Sales and Market Development, GE Healthcare; and VP Growth, Sail Cannabis. He is also a Board Member of Alberta Council of Technologies and Professor of New Ventures and Social Enterprise at Ambrose University, Calgary. 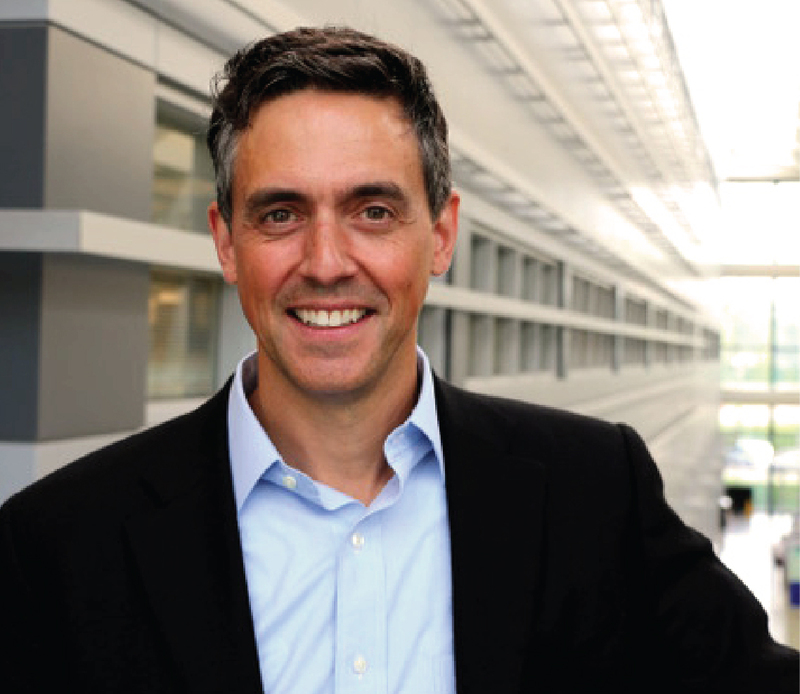 Peter is academically trained by the Institute of Corporate Directors; is a Certified Health Executive from the Canadian College of Health Leaders; holds a Bachelor’s in Applied Science (Engineering) from Queen’s; and an MBA from the joint Kellogg-Schulich program. Peter worked with MindfulGarden through the TELUS Technology Accelerator 2 program as a mentor and we’re pleased to continue this relationship towards commercialization. When working with seniors in a vulnerable mental state, having something familiar to them is key. Bringing in a unit that’s stainless and modern and looking like something from the decks of the Starfleet is counter-productive to our efforts. The key is to have a unit in the rooms that seems familiar. To these ends, almost all seniors have grown up with the TV screen as ubiquitous in their lives. So while the senior is seeing a TV screen with something pretty on it, what they aren’t aware of is behind the scenes – the entire experience is built on the Unity game engine and integrates both motion and voice detection sensors. As the senior yells or gestures wildly (both typical behaviours in dementia/delirium), the visuals on-screen change and the data is tracked for patterns and interruptions. This tracking is how we’ll be able to assess the efficacy of MindfulGarden — when it is most useful, how long it takes to ‘work its magic,’ how engaged the patient is with the unit, and whether we can track the de-escalation of hyper-anxious aggression that can often delay care and pose a danger to caregivers. Is Eldercare the Next Billion Dollar Market? 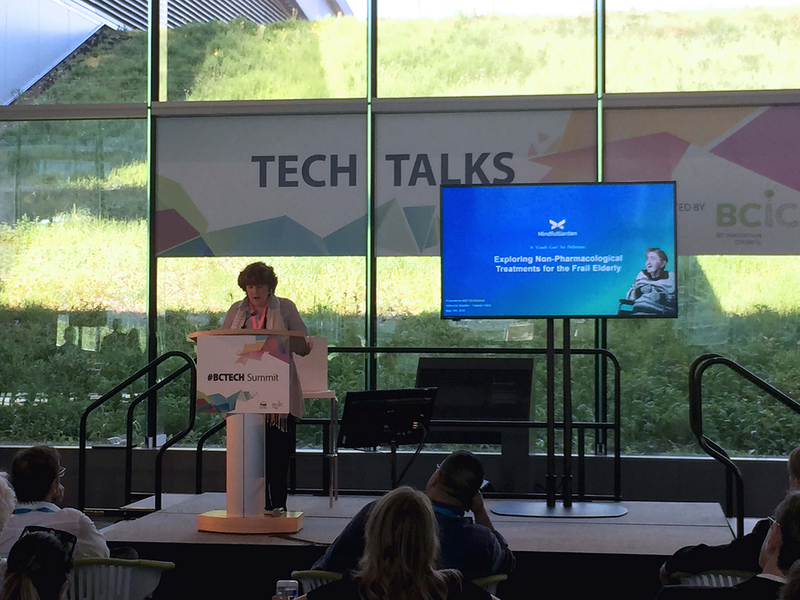 MindfulGarden founder Catherine Winckler contributed to the panel featuring international gerontology expert Andrew Sixsmith (Age-Well) at this year’s 3,000-delegate strong BC TECH SUMMIT. As MindfulGarden has emerged into the public even more this past month and out to events including BC TECH Summit and a second appearance at the VANTEC Angel Forum, we are hearing many of the same questions. We thought we’d share them here. Q: Why doesn’t MindfulGarden use Virtual Reality (VR) where you put on those big goggles and step into a 360 degree ‘virtual’ world? While VR is proving to be an extremely promising tool in health areas including pain management and even earlier stage dementia, the vulnerable population that we are working with – the frail elderly with delirum and/or hyperactive dementia – simply will not accept any accessories or foreign objects introduced to their persons. This has also been the case with sensors that we would like to use – even something as simple and recognizable as a Fitbit around the wrist proves irritating to our frail seniors. Q: Why isn’t MindfulGarden being put onto an iPad or onto a smartphone so it’s easier to transport and use? The Phase I introduction of MindfulGarden is intended for hospital and long-term care settings where human caregiver resources are at a premium. One of the features of MindfulGarden is that it can be wheeled in and does not require one-on-one attendance. In future iterations of MindfulGarden, particularly for home use, there are plans to deliver the experience via other platforms. Q: What about sound/music? Do you plan on adding any of that to the MindfulGarden experience? For the purposes of the studies, we had to keep the MindfulGarden experience simple and visual only. There are plans to test sound in future iterations of MindfulGarden. However, we are testing now with universal drum and ‘heart’ sounds as even music can be irritating to this vulnerable senior population. Q: Why are you concentrating only on seniors? Wouldn’t MindfulGarden work for other patient cohorts? Q: How long will the studies take? We’re pleased that Fraser Health sees merit in the research and we are anxious to move ahead with the studies this Fall. How long will they take? Of course, that will depend on how many delirium patients are admitted that meet our established criteria. Sad but true, given that delirium affects so many (15-30% of our frail elderly on admission to hospital), we anticipate that our study will move ahead expediently and you will hear more from us this Fall.